Last year, Capital One announced that it had acquired ING Direct. In November 2012, the two legally became one bank. However, the re-branding effort has been moving at a gradual pace. Right now, the colors associated with Sharebuilder (which used to be owned by ING Direct and was also sold to Capital One) have changed to blue and red, and the site is branded with the Capital One logo. The banking site, ING Direct, is going to officially become Capital One 360 in February, and some of the account names are going to change. ING has done a lot with the color orange, and many of the accounts reflect that color. Capital One 360 will be changing the names of some of the accounts, with the Electric Orange account becoming 360 Checking, and Orange Savings becoming 360 Savings. In addition to the checking and savings accounts, Capital One 360 will also provide CDs, business accounts, mortgages, and accounts for children and teenagers. So far, some have noticed that ING hasn’t been paying yields that are as competitive as they used to be. In the past, ING was one of the leaders in high yield deposit accounts. Now, though, there are plenty of other banks that offer more competitive rates, and ING is rarely one of the top yielders. Some speculate that ING has already changed its direction since the Capital One acquisition, and that yields could fall still further after the new branding is in effect. Other than the lower rates, and the changes to some of the names of the accounts, not much is supposed to change as ING Direct switches over to Capital One 360. 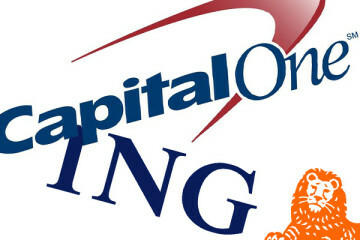 Capital One claims that login information and account terms, as well as everything else for ING Direct customers, will stay the same; they’ll just access their accounts through www.CapitalOne360.com, instead of the ING Direct web site. The Capital One 360 web site won’t allow customers to access their accounts until after the official branding change in February, but you can visit the site to learn more about what Capital One 360 has to offer, as well as what ING Direct customers need to know as the transition takes place. Today, it’s common for consumers to have accounts at more than financial institution. Now that ING Direct and Capital One are the same bank, if you have deposits at both banks, you should review your total amounts. FDIC insurance coverage is generally only for up to $250,000 total at each institution. Now that ING and Capital One are the same bank, your deposit accounts will be combined for a total for FDIC insurance purposes. So, if you have large enough deposits at each bank, you might want to change your strategy to ensure that all of your money is properly insured. The switch from ING Direct to Capital One 360 is one that has been in the works for almost a year. While most customers aren’t likely to see any major changes at the beginning, there are some concerns that Capital One will slowly move away from what many liked best about ING Direct. What do you think about the change? Do you think that Capital One will keep things the same as ING?